Until now it has been the Vampire who stalked the cities, feasting at will from any they desired. Confident in their Masquerade, sure no mortal could threaten their rule, they have walked without fear. But now their nights are numbered. The Hunters' hour has come! 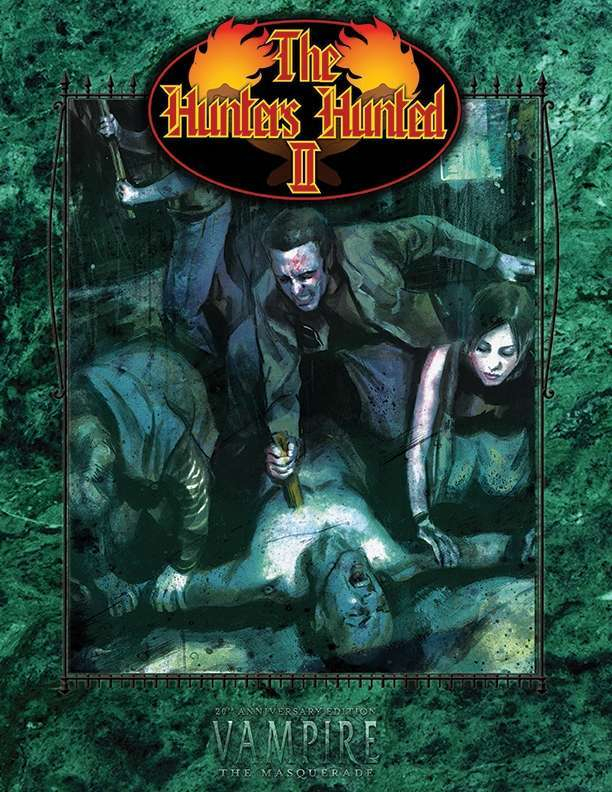 Add to your Vampire Chronicle with fully detailed hunters, ready and waiting to put your players to the torch. Or better yet, begin a hunters Chronicle, with the characters facing off against the horror of the Undead. for no other foe is as well detailed as the Kindred of Vampire. While young vampires may scoff at the mortals who hunt them, their elders remember a time when robed monks rode from haven to haven, using the twin weapons of fire and their faith to destroy the undead. But the Inquisition did not die in those dark ages. Its soldiers still roam the Earth, and the Damned fear it more than any other group of mortals. This supplement includes ways to integrate Inquisitors into any chronicle, either as character or enemy, new information on Faith, and rules for torturing vampires - what fun.